Last year, I attempted winter sowing for the first time… and I wasn’t successful. The plants either didn’t germinate, or germinated then died, or was baked in the small container. I wasn’t planning on winter sowing again, but I happen to stumble upon the journal entry “My First Winter Sowing” by HollyBee on Folia. She used a large translucent container and placed 24 square 3 1/2 inch square pots… which are similar to the pots I used a couple years ago for my overwintering Coleus. I think I’ll copy her method and plant my flower seeds this way. I also found a photo by pestee35 on Flickr using a similar method. 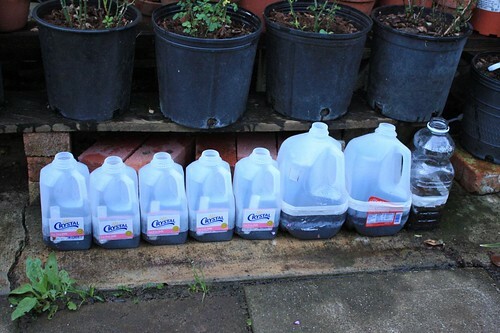 This entry was posted in Gardening and tagged fail, ideas, wintersow, wintersowing. Bookmark the permalink.